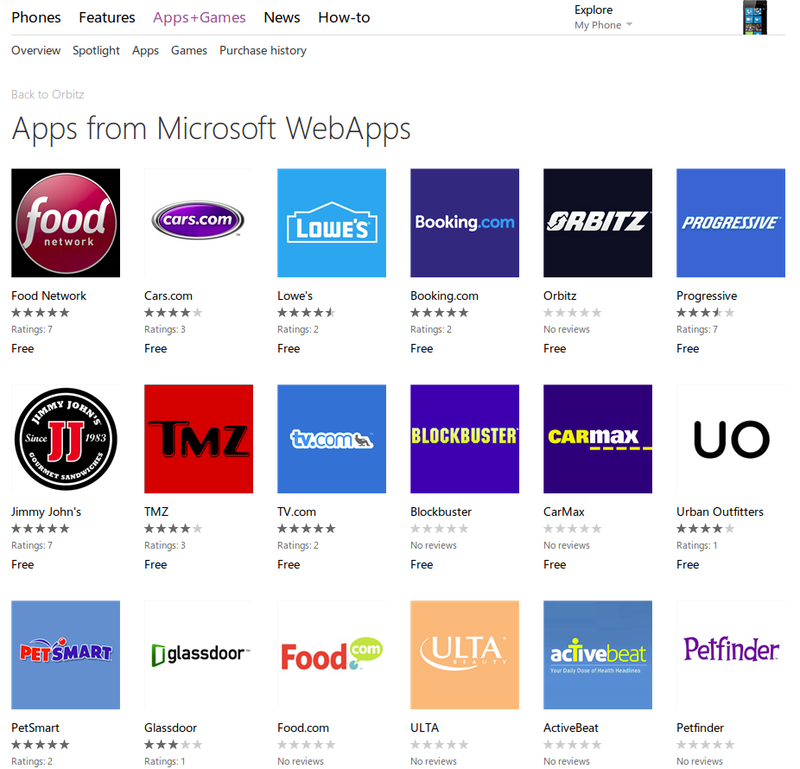 Microsoft’s decision to post websites of popular brands as Windows Phone “apps” appears to be slowly backfiring, as several “WinApps” have vanished from Microsoft’s app store. Atari, Cars.com, and Southwest Airlines all appear to have pulled their listings from the site, possibly over copyright issues. As of Tuesday morning, Cars.com was included in the WebApps list. By Tuesday afternoon, it had vanished. Ironically, Apple pursued a similar strategy in the early days of the iTunes App Store, working with partners to develop “apps” that were little more than redirects to the partner company’s website. But Apple worked hand-in-hand with its partners to make that happen. Neowin.net, which noted the removal of the Southwest and Atari listings, confirmed with Southwest that Microsoft had not received permission to use its content—which in this case appeared to be little more than its name and logo. Nevertheless, that’s all the company would need to file an infringement notification. Microsoft representatives did not respond to requests for comment. Cars.com could not be reached for comment after business hours. Somebody within Microsoft probably thought, perhaps rightfully, that if Google was forcing Microsoft to pull its YouTube app and replace it with a WebApp, why not adopt the same strategy with other brands? In August, Microsoft said that it had 170,000 certified apps and counting within its Microsoft Windows Phone Store, a fraction of the 880,000 or so Android apps, measured by AppBrain. But doing so was a risky maneuver, threatening to irritate (or worse) a number of potential partners. And that’s apparently what happened.